PAPUA New Guinea Kumuls coach Michael Marum, pictured, has hailed Nene Macdonald after the North Queensland Cowboys recruit expressed his desire to represent the country again. Macdonald — via Facebook — had threatened to turn his back on the Kumuls jumper after the 24-year-old was allegedly assaulted at a club in Port Moresby last month. Earlier that day, Macdonald played a starring role in the Kumuls’ 32-22 victory over the England Knights at the National Football Stadium. But the former St George Illawarra Dragons winger this week revealed to foxsports.com.au that the alleged offender had been caught and dealt with, and that he wanted to represent the country again. 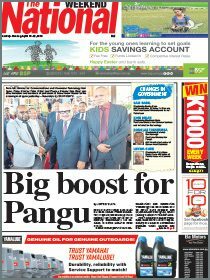 “It’s really up to him (Nene),” Marum told The National when asked to comment on Macdonald’s desire to represent the country again. “I knew he was not going to turn us down when I was told at the time of the incident. 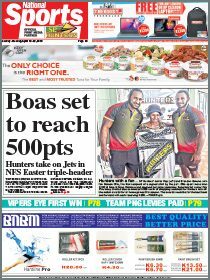 Marum, who is also the PNG Hunters coach, said Macdonald was a vital cog in the national team. “The Kumuls need players like him as much as I need him for future matches,” Marum said. The Kumuls are expected to play Tonga, Samoa and New Zealand next year in preparation for the 2021 Rugby League World Cup in England.